Today, September 21, the iPhone 5 goes on sale in some European countries, such as France, Germany or England and Pacific Americans. As we write these lines, many people will be queuing at the various Apple Stores worldwide. In the U.S., for example, Apple Stores will open at 8:00 am local time, meeting in Spain in the afternoon (the time depends on the time zone you choose in the U.S.). 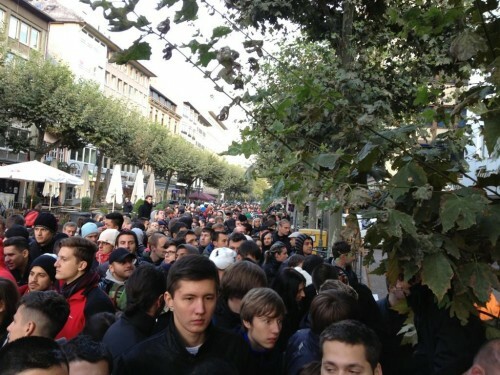 In European countries, the Apple Stores in Germany, France and, an hour later, England, will be open and selling iPhones 5 as if there was no tomorrow. In fact, the photo above is for the Apple Store in Frankfurt, Germany. 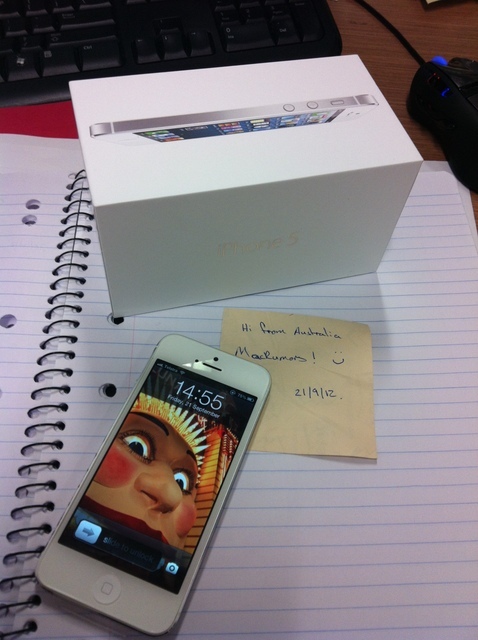 However, those who already have to be enjoying their iPhones 5 are Aussies. Thanks to the time difference, while we slept last night, many of them were in possession of the new model of iPhone, and send the impressions are very positive. Many of us will spend the week of difference until we put the iPhone 5 on sale in Spain to watch videos of unboxings, learn of possible failures before purchasing terminal (such as micro-light leaks or iPad 2 battery overheating in the New iPad), or terminarnos deciding on the color of the iPhone. Do any readers in the room who already have an iPhone 5? We invite you to leave your comments about the new terminal.